Apt to its name, KF8 Kindle has taken over the reading population by awe and adulation for the device. After understanding this phenomenon deeply, our experts have gained hands-on experience and nuance in rebuilding content to suit kindle's needs. There is unstoppable support for all formats to be converted to the Kindle format. 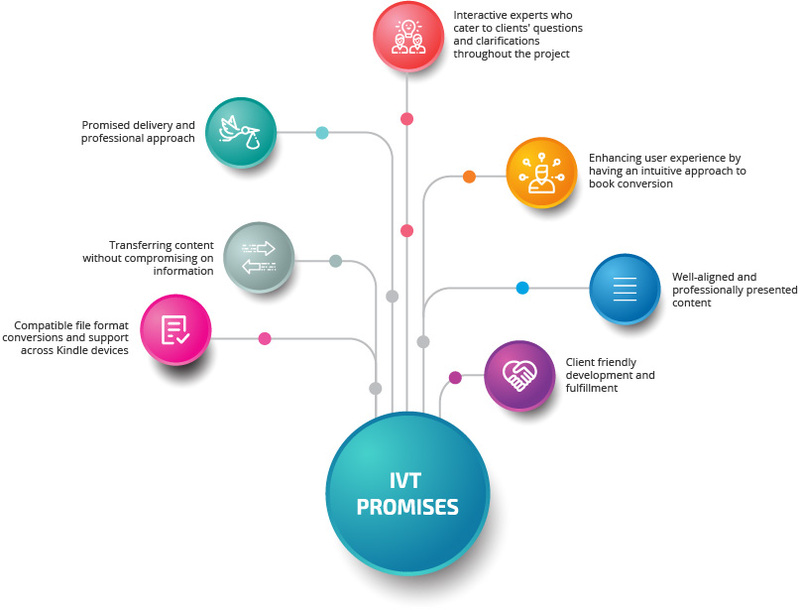 Complex projects, scalable vector graphics, sidebars, callouts, nested tables, numbered lists, fixed layouts, drop caps and other such UI elements have been handled and mastered at IVT. These formatting elements control graphic novels, magazines and most other types of book content such as cookbooks, comic/picture books etc.